FDK corporation will begin sample shipment of oxide based all-solid-state battery using high electrochemical potential cathode material «lithium cobalt pyrophosphate (Li2CoP2O7)» which was jointly developed with Fujitsu Laboratories Ltd. February 2017. While applications using various batteries such as IoT devices and wearable devices expand and progress, the specifications required for batteries are becoming increasingly diverse, and, in particular, there is increasing interest in high energy density and safety performance. Respond to these needs all-solid-state batteries are attracting attention as next generation battery, FDK has been continued to develop all-solid-state battery using high electrochemical potential cathode material «lithium cobalt pyrophosphate (Li2CoP2O7)» with features such as high energy density, superior safety performance, and long life. 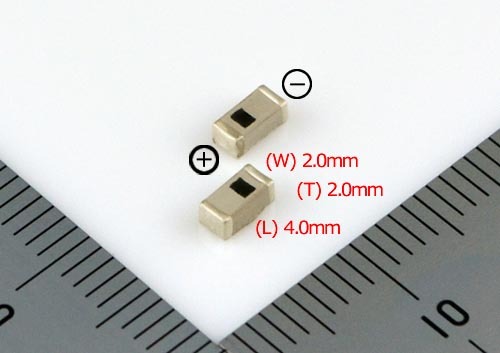 This battery is SMD (Surface Mount Device) type, so they can be mounted as one of the electronic parts, contributing to miniaturization of equipment and began shipping samples at the end of 2018. Application that requires small size, high capacity, wide temperature range Application. Industrial equipment used in harsh environments (high temperature, vacuum etc. ), measurement of automobile equipment application, wireless modules etc. In parallel with sample shipment of this product, FDK will continue to increase the capacity of this product for further expansion of applications. (Scheduled to ship samples with high capacity in April 2019).